You stand, watching the cars go by. You’re not sure where you are, maybe not even where you’re going. Perhaps you are with friends, or they could be strangers. Time passes. You change the space by being there, the space changes you. Inspired by the dérives of the Lettrist and Situationist Internationals, a.a.s searched for the city beneath the city. 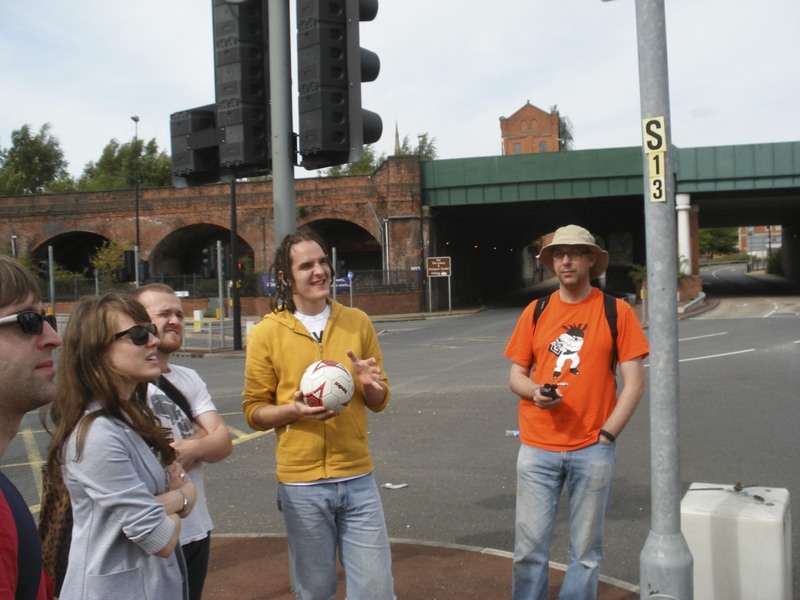 Using a combination of I Ching readings and the Paranoid-Critical Method, and starting from the base at Castlefield, artists and co-participants explored randomly selected parts of central Manchester, to reveal hidden meanings. Spending an extended period of time in one location can lend it new significance, and people may often develop spontaneous games that activate the site. During The Nomads we developed changed perceptions of two randomly selected sites during each outing and occupied those parts of the city for several hours. This entry was posted in Event, The Other Place on September 5, 2010 by admin.